The Norcross Garden Club has hit the ground running after becoming the newest club to join the Dogwood District. Previously a member of the Laurel District, the move to Dogwood has proven much more advantageous logistically and we could not have been welcomed any better nor made our presence known to other clubs in the Atlanta area than by attending the meeting Thursday. 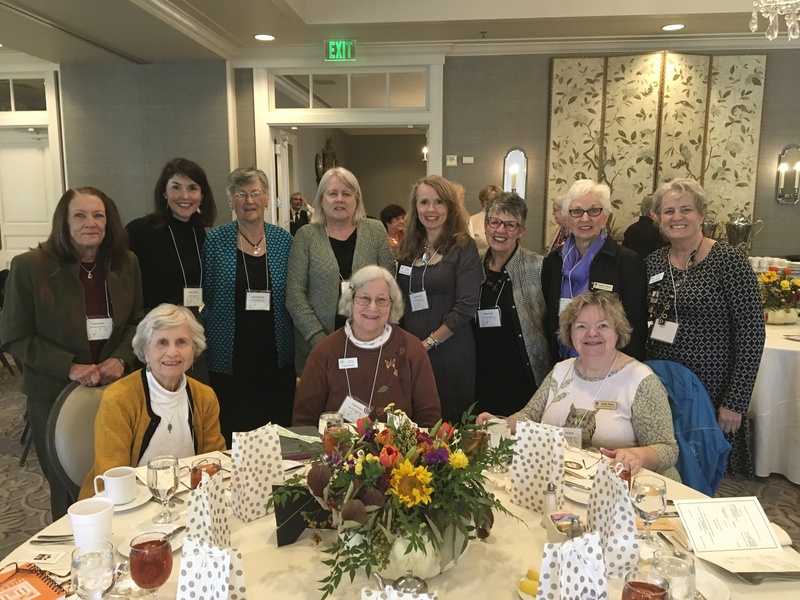 12 of the club's 74 members attended the 59th Annual Dogwood District Meeting hosted by the Magnolia Garden Club, Thursday, October 26, 2017. Upon entering the gorgeous Ansley Golf Club, club members enjoyed presentations by other clubs and organizations. Information about Monarch butterflies, membership recruitment and retention, and Thomasville, Ga. were just a couple of the presentation boards available. Clubs were encouraged to donate a raffle basket. Tickets were sold at $1 each. Two of the NGC members, Leanne and Cathy, won baskets from the 12 available. Dogwood District Director, Lib Thompson, opened the meeting and proceeded to delight the audience with information about the district upcoming and past achievements. 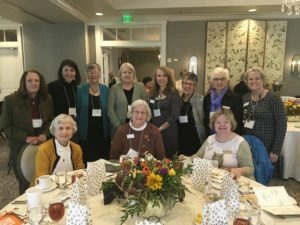 The guest of honor, President, The Garden Club of Georgia, Jane Hersey, provided additional information about the coming year for the state's districts and their clubs with the theme of "PLANT AMERICA - Georgia's Heritage, Georgia's Legacy". This theme supplements and supports the National Garden Club. The program portion of the meeting was conducted by Terry W. Johnson, Wildlife Biologist. Terry shared numerous pictures of moths, butterflies, birds, additional pollinators, and plants with emphasis on the need to plant native Georgia plants to help the many species we can easily find in our own backyards. In this recent blog posting by Terry, he articulates the Fall Foliage possible with Georgia native trees and shrubs and their benefits to the local wildlife.